Our handcrafted wines are produced utilizing the best of Old World traditional wine-making methods, including aging in French oak barrels, as well as New World innovations. Cool viticulture climate, care of the land, varietal characteristics that express the vineyard terroir lay a strong foundation for the creation of Stangeland wines. Grapes, handpicked in the cool morning hours, flow to the winery where minimal handling of the wine, gravity feed, quality assurance and attention to detail help to create wines of exceptional quality, taste and affordability. Currently our wines include international award winning estate grown Pinot Noir and vineyard designated Pinot Noir’s, Chardonnay, Pinot Gris, Gewurztraminer, and Chardonnay glace. 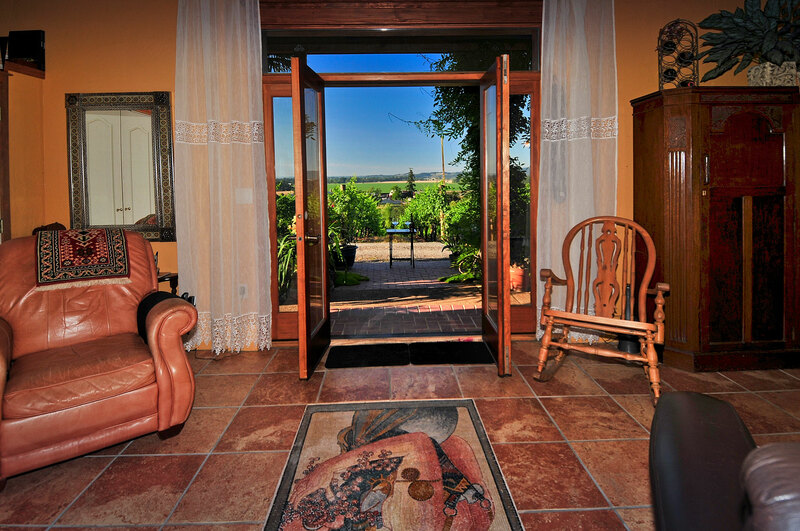 Our tasting room, located in the heart of our vineyard, offers wine tasting and unique gift items including specialty sized bottles of wine, cheeses (fromWillamette Valley Cheese Co), chocolates, clothing, wine racks, used barrels, and more.